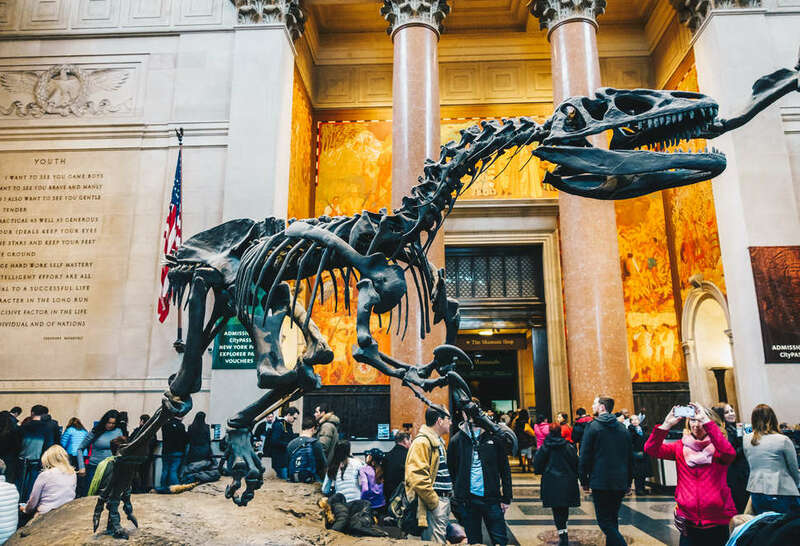 Handy list of museums worth seeing even if you have only a short time in New York City. Have lived here long enough so that several of these are favorites. Enjoy. 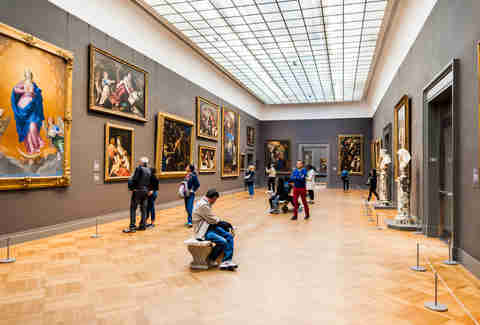 Museums get a bad rap. Even the word “museum” is a turn-off. It sounds all… Latin, like some punishment to threaten your kid with, or a mantra to keep you from getting aroused in public. But forget the branding, and focus on their raison d’etre: showcasing the greatest art, science, and history on the planet, all distilled into one building you can visit for the price of an eggs Benedict (or for free, if you time it right). We’re talking about mankind’s greatest achievements here — the story of life itself. Plus, they dovetail nicely with brunch, picking up brainy dates, and, low-key, throwing some of the city’s finest parties. If you only go to one museum in New York, make it the Met. In fact, if you only go to one museum ever, make it the Met. Even if you’re not fussed about artistic nuance or the technical genius on display, you can’t help but be impressed — there are more than 2 million objects covering 5,000 years of world history. Celebrate the Year of the Pig with a glimpse of swine facsimiles by Chinese artists dating back 2,000 years, then jump back to the 20th century with a gander at Jackson Pollock’s splattered canvas. $25 for adults, free for under 16s, free on Fridays from 4pm until 8pm. For old-school European art in a decadent setting, head to the Frick, where epic landscapes and historical portraits hang in gilded frames at Henry Clay Frick’sUpper East Side mansion. Turner, Constable, and El Greco are among the all-star cast, and there’s a pretty courtyard which will have you — just for moment — convinced you’ve escaped Manhattan and landed in the South of France. The audio guide is excellent — informative, lively, and not too pretentious for the average Joe. $22 for adults, $12 for students (no children under 10). Pay-what-you-wish Wednesdays from 2pm until 6pm. Dinosaurs! Elephants! A whale! 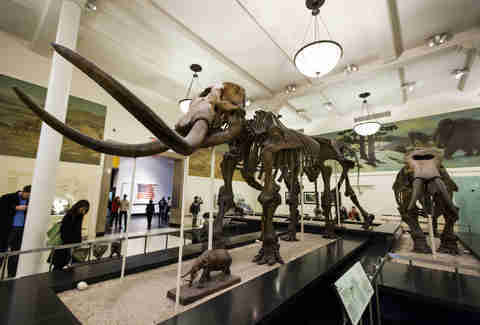 Only at the Natural History Museum can you gasp these words in public without worrying about offending a bunch of retirees straight off the tour bus. It’s a thrill-a-minute, taking you on a worldwide journey through jungles, up mountains, deep down into the sea — hell, even into outer space at the planetarium next door. Basically, this is as close to real-life Jumanji as you can get — just add imagination, and a Robin Williams impression. $23 for adults, $13 for children aged 2-12 in advance; pay-what-you-wish at the counter. If you get a kick out of breakneck speeds, deafening noises and awe-inspiring power, the Intrepid is for you. There’s enough gear here for a small invasion: the top deck of the retired USS Intrepid is loaded with fighter planes (prepare to hum the Top Gun theme), and there’s a nuclear submarine in the dock down below. To get maximum bang for your buck, leave plenty of time to check out the British Airways Concorde, and marvel at the mighty NASA space shuttle enclosed in its own pavilion. 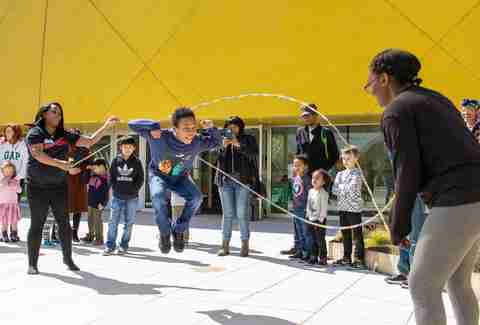 One thing Manhattan lacks is a bona fide science museum, but if you’re on the hunt for tech, engineering and math activities, make the trip to the 111th Street 7 Train stop for the NYSCI. 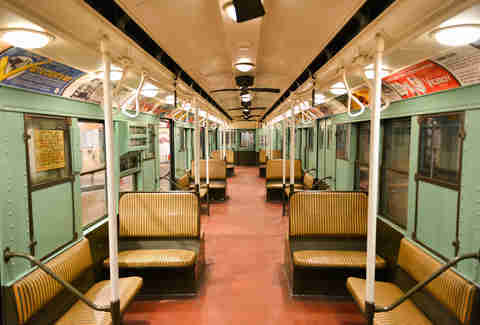 It has been educating and entertaining visitors since the World’s Fair in 1964, and now houses more than 450 exhibits. This is the city’s oldest museum, dating to 1804. Art, literature, and memorabilia intermingle to tell the tale of New York and the wider history of America, with past exhibitions on themes including the Battle of Brooklyn and Muhammad Ali. And by the way, that hyphen is the name is not a typo — it’s how “New York” was spelt back when the museum was founded, and they’ve kept it on as a nod to history, naturally. Your sixth-floor walk-up feels like a relic of a bygone era, but it’s not so well preserved as the Tenement Museum. This Lower East Side time capsule of New York life presents the stories of working-class immigrants who lived here in the 19th and early 20th century. 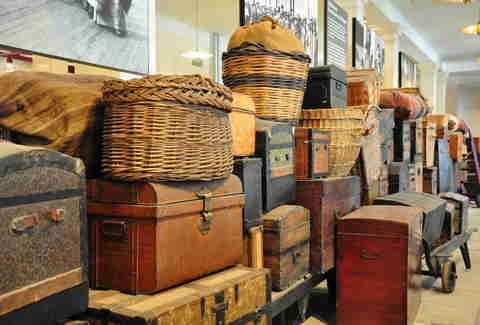 Don’t expect to amble around at your leisure — you must take a guided tour, and pick an era to delve into. This waterside museum tells the story of New York’s rapid growth from trading outpost to world-leading industrial port. 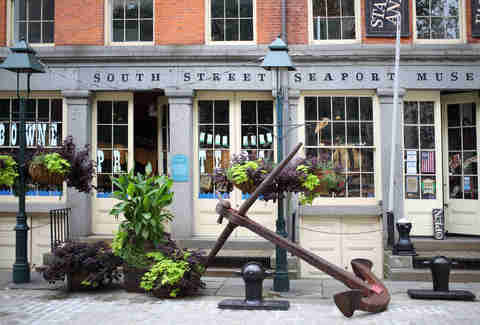 Housed in Federal-era warehouses on Schermerhorn Row, it’s worth visiting also for the period schooners docked outside. 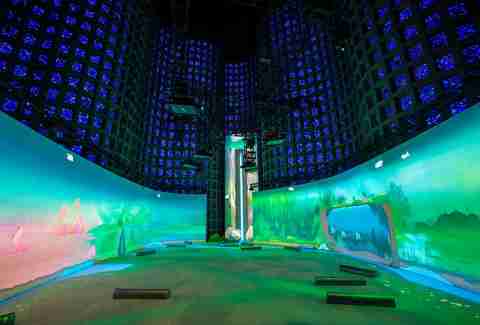 “The world’s first children’s museum” should come with a warning — when it’s time to leave, there will be tears. You’ll be amazed how much fun can be had with the conveyor belt in the pretend bodega, or assembling toppings in the mock-pizzeria. And then there’s the splash zone, which rugrats will refuse to leave until you tell them there’s a real live python waiting to meet them downstairs. There’s even a sandpit, and a vegetable garden made from tiny crumbs of rubber (they’ll be in your laundry for weeks). A heads-up: this place is tons better than the Manhattan counterpart. This collection of fares through the ages, historic signage, and scale trolley models is rollicking good fun for Thomas-obsessed tykes, even if there’s a danger that all the stationary antiquated metro cars will remind you a little too much of a miserable weekday commute. Is it the lights, the sirens, or the shiny red trucks? Who cares! NYCFM will keep little ones (and grown-ups) ensconced for at least an hour or so. When you’re done, remember to dazzle them with the building’s Ghostbusters Fire Station facade, and explain that the lady-led reboot was every bit as good as the1984 original and deserving of a sequel. 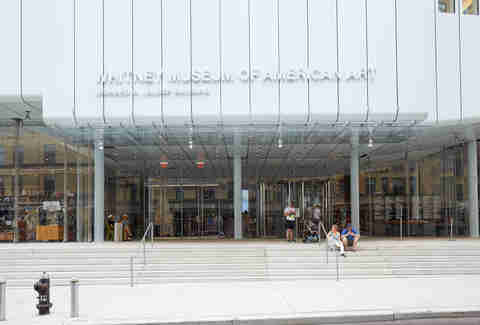 The Renzo Piano-designed Whitney is worth a trip just for the views of the Meatpacking District and the Hudson River from the art-laden multi-level patios. Inside, the focus is on homegrown talent, including masterpieces by Edward Hopper and intricate mobiles by Alexander Calder. 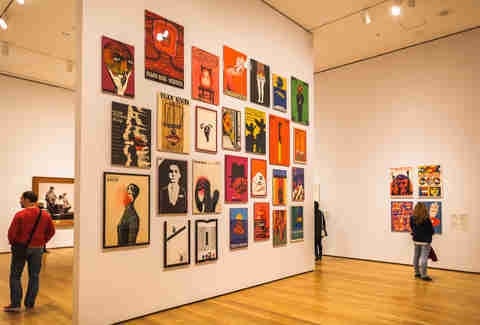 Catch the Andy Warhol — From A to B and Back Again exhibit while you can. Here, you’ll find a moving recollection of the 2001 tragedy, presenting a terrifying selection of salvaged artifacts and a sensitive narrative of events. The 9/11 Tribute Museum tells the story of the tragic day from the perspective of the people who experienced it, with regular live talks by volunteers. 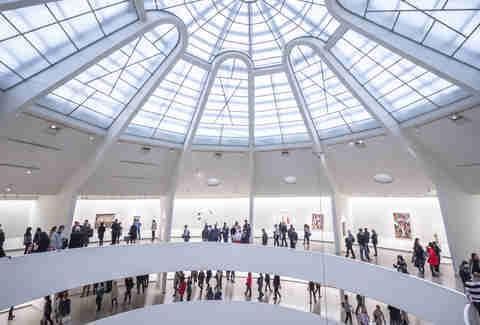 Works by Picasso, Kandinsky, and co. deserve a stunning setting, and that’s exactly what they get at the Guggenheim, the iconic seashell-inspired building designed by Frank Lloyd Wright. The permanent collections, including a room of abstract forms by Constantin Brancusi (“The Seal” is a triumph of simplicity) are guaranteed crowd-pleasers, but bear in mind that the majority of the gallery displays the current feature exhibition — so read up in advance and make sure it’s your scene. Works by Robert Mapplethorpe, including graphic S & M imagery, are on view through July. Nothing can compete with sheer scale and diversity of the Met, but this is a fair runner-up. 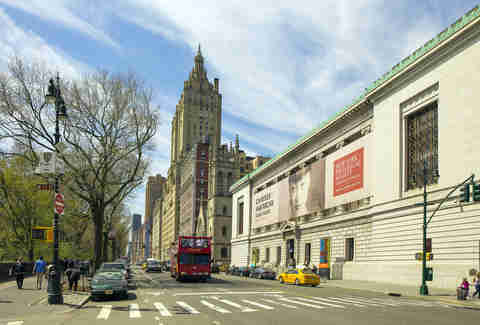 New York’s second-largest museum (560,000 square feet) is home to 1.5 million works, including paintings by Georgia O’Keeffe and John Singer Sargent, as well as one of the world’s best collections of Egyptian art. Go on the first Saturday of the month, when it’s free to enter, and there’s a street food market and cash bars open till late. 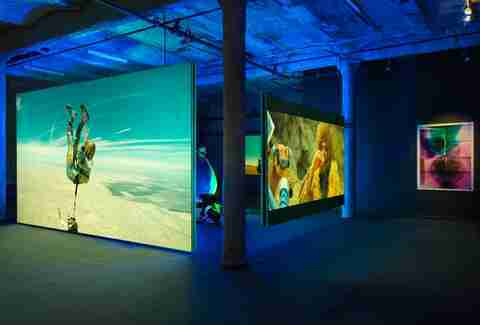 For a dip out of the mainstream, check out this showcase on Bowery for lesser-known contemporary artists. The outside may look like something a 2-year-old might assemble with building blocks, and the seven floors of avant-garde art are almost guaranteed to hold a few pieces that will have you thinking “my toddler could have done that.” But go with an open mind and you’ll emerge with broader horizons. This is where the American dream started for more than 12 million immigrants between 1892 and 1954 — today, one in three US citizens can trace their ancestry to someone who pitched up at this very dock after a transatlantic voyage. Learn the stories of the tired/poor/huddled who were welcomed into their new lives here — and the few who tragically failed the admission test. This sprawling uptown Met outpost is focused on medieval art and architecture. Named for its atmospheric setting, the museum is situated around an arched courtyard garden in Fort Tryon Park, on the banks of the Hudson River in northern Manhattan. This is the best spot in New York City for your Game of Thrones Insta-inspo. For a museum all about our biggest buildings, the Skyscraper Museum is surprisingly small — but it’s worth a trip to ogle the miniature models of Manhattan and brush up on architectural principles while you’re at it.